Chez Voyageur du Fromage – at the home of The Cheese Traveler – some local Berne Dairy Meadowbrook Jersey cow’s milk va aigre. 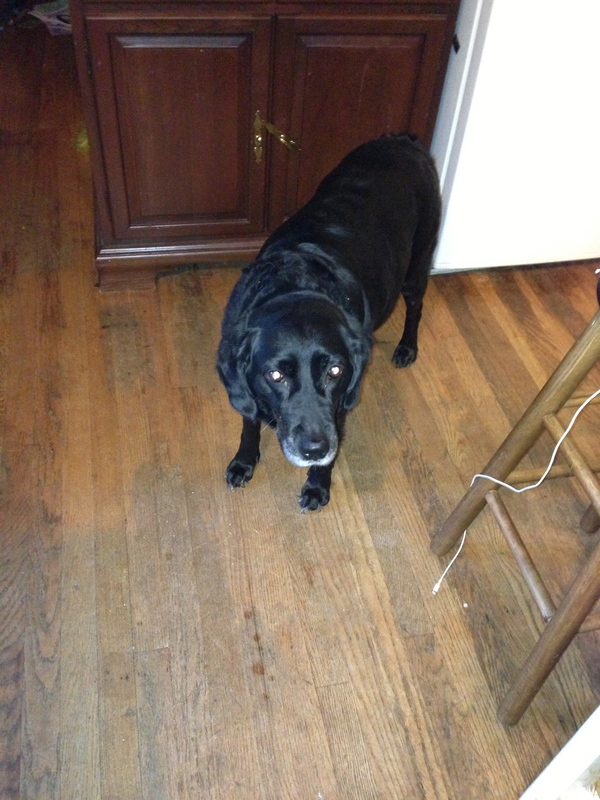 Young Master Traveler pulled the glass bottle out of the fridge, unhinged the cap, and sniffed the milk. It was sour. “Mom, the milk is bad,” he exclaimed with disgust and poured a small cupful for her to taste. The Mistress of Cheese lifted the cup to her lips and sipped just a little to get the flavor. She declared upon inspection that, indeed, the milk was not pleasant to drink. Young Master Traveler would just have to open up a new bottle. The milk, though sour, was not foul. Not the kind of sour that would turn your stomach, nor the chunky acrid bits of milk-refuse that linger in the bottle, but rather the slightly floral hint of turned milk that you just don’t want to drink. The Mistress of Cheese never likes food to go to waste. So she took to the internet to find a solution. There she discovered Gleanorganics.com and the article “Zero Food Waste: Sour Milk.” It offered the perfect solution to soured milk: to make cheese. Tying up the cheese to let it drain. 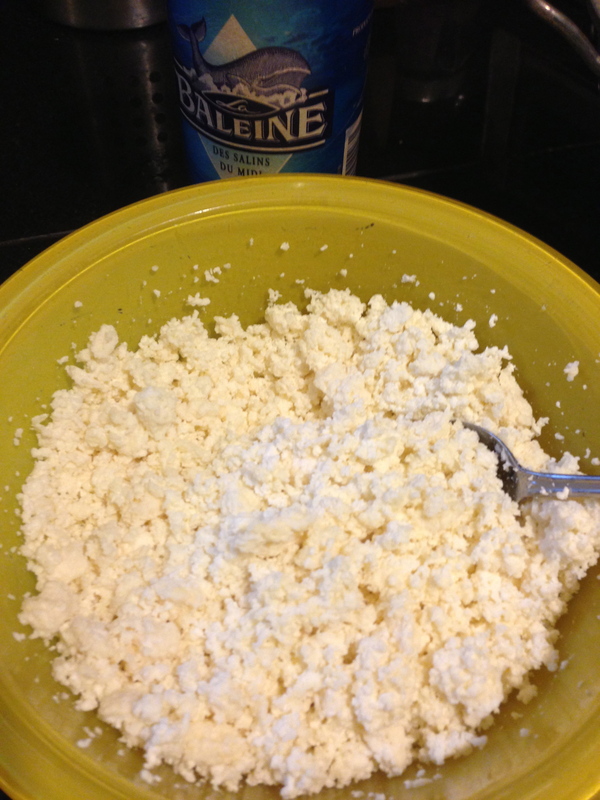 After salting it with sea salt, the fresh cheese had the taste and texture of a dry farmer’s cheese. The Mistress of Cheese was happy that her experiment turned out to be successful, and she immediately texted The Cheese Traveler a picture of the final product with the tagline: “I made cheese!” It was a grand day for the whole family. 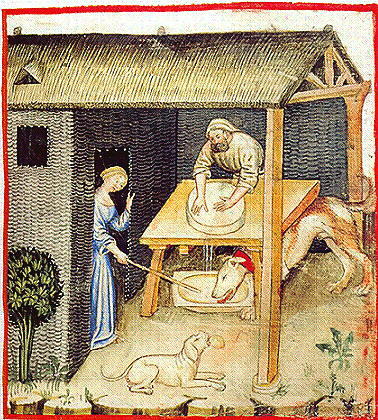 Georgia the dog got to feast on the whey like the dogs of antiquity (for an image see here), and the Young Cheese Travelers enjoyed licking the empty bowl of cheese curds. Next time we’ll save the whey to make dough. She then began to strategize ways of using the homemade cheese in cooking. 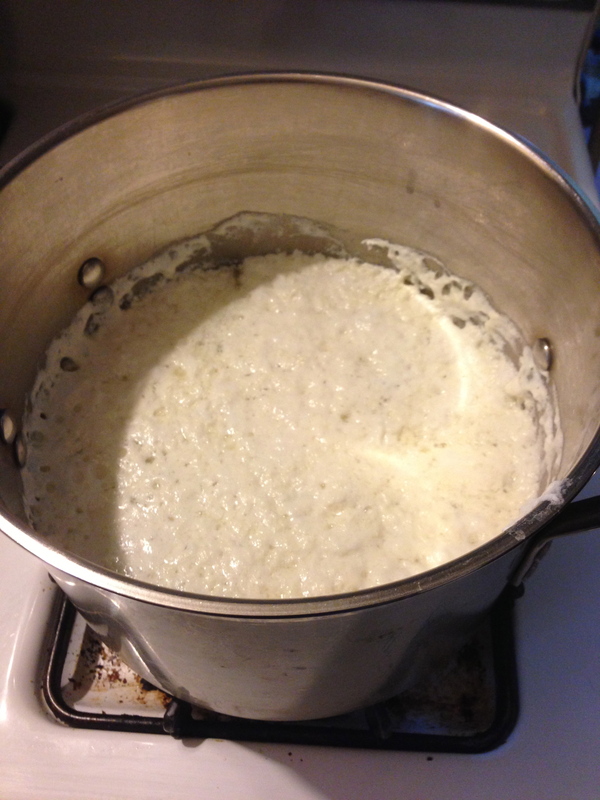 (Though now officially an amateur cheesemaker, the Mistress of Cheese will not be selling her cheese in the store.) 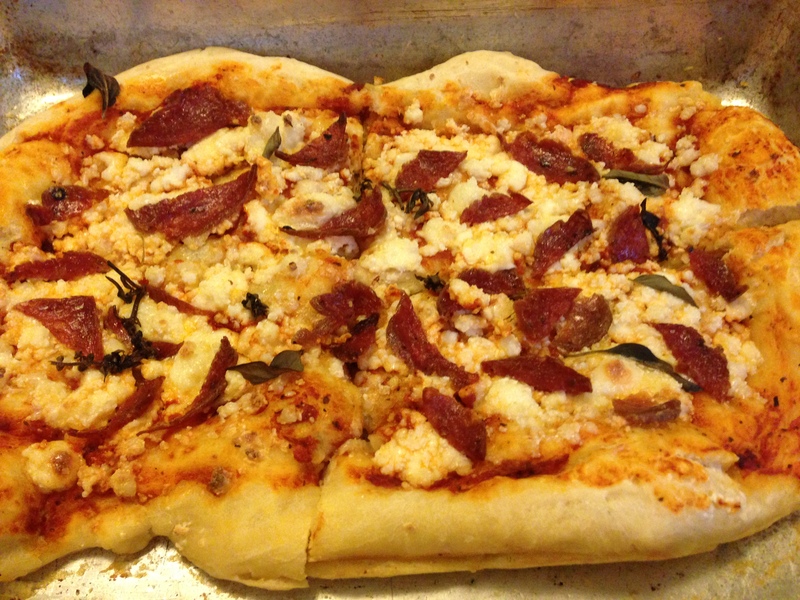 Since she did not add vinegar to curdle the milk, that meant that the curds would melt, perfect for using as a pizza topping with fresh oregano and arugula, olives, and olive oil. Or perhaps she might use it as a garnish for that peppered turkey leg with dandelion and fresh herbs soup on tonight’s menu. Bon appetit! 2. Remove the pan from the heat, let set for 5-10min. Be careful to remove from the heat. Overcooked sour milk gets bitter. 3. 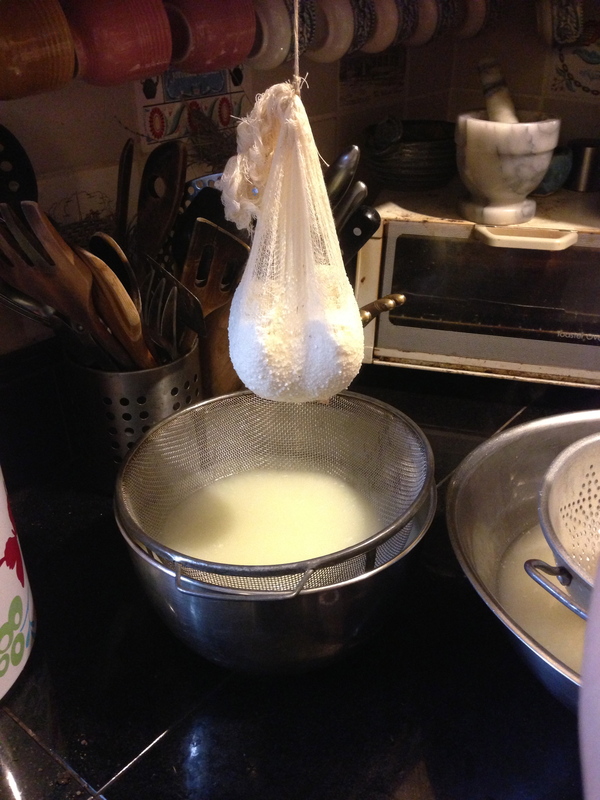 Gently strain thru a napkin, facecloth, or (if you have it) cheese cloth and lightly salt the curd. This makes a cheese similar to cream cheese [farmer’s cheese]. Its best fresh, spreads, and also melts like cheddar (you can make mozzarella with it). 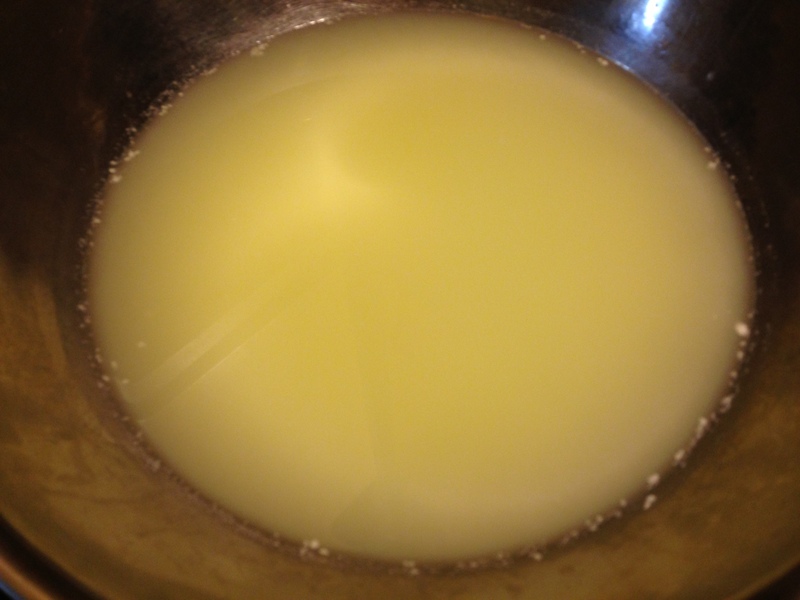 **If your milk isn’t sour enough it won’t develop a curd on its own – you can instead use rennet or add a shot of vinegar. 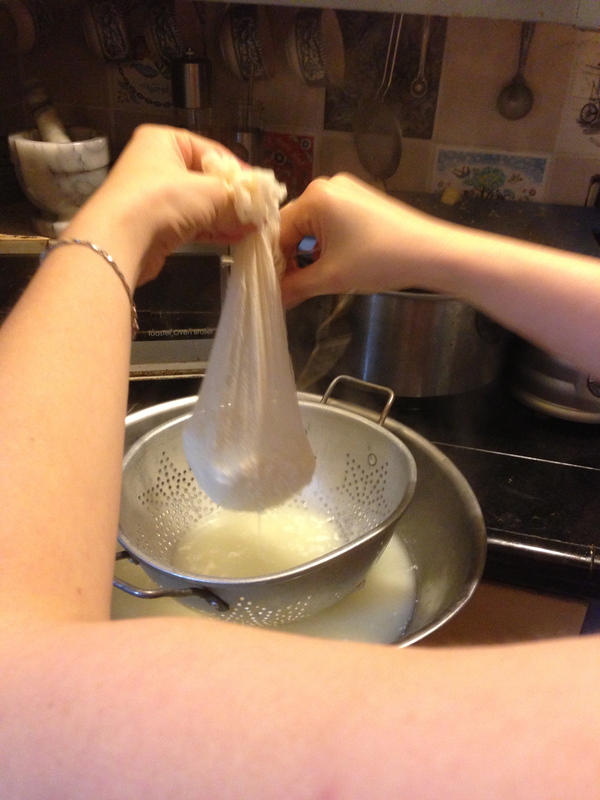 Using vinegar means you won’t have a melty cheese but it’s easier and more forgiving than rennet. 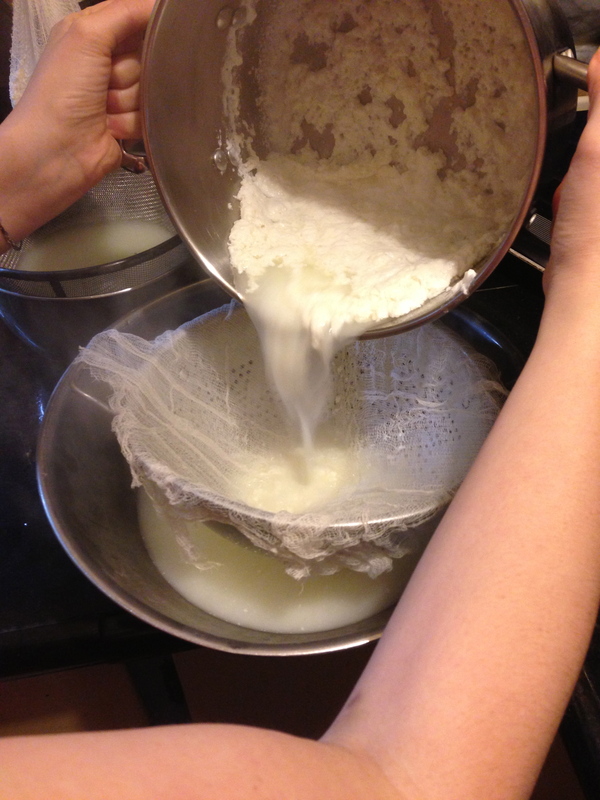 This entry was posted in Cooking with Cheese and tagged cheesemaking, cheesemonger, diy, farmers cheese, homemade cheese, sour milk by The Cheese Traveler. Bookmark the permalink. That looks awesome! Very well done turning sour milk into a culinary delight. Thank you, Chris, for the excellent recipe. 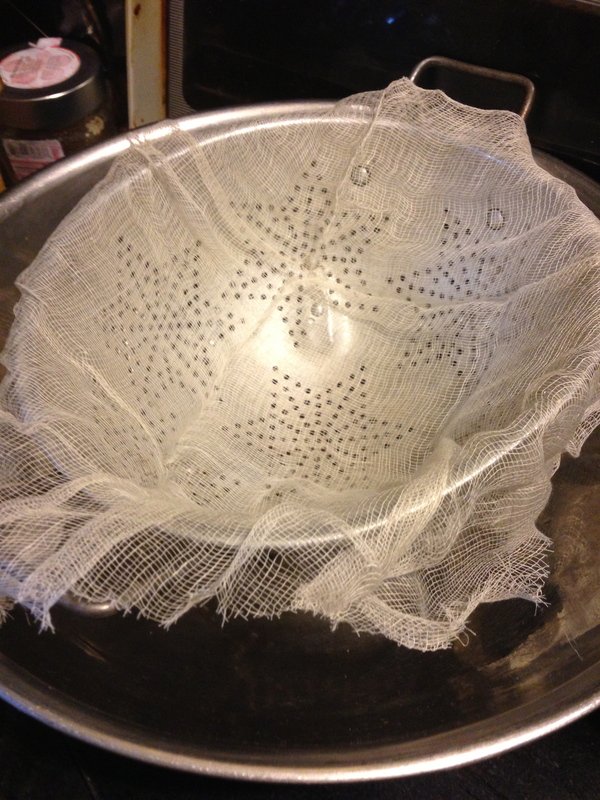 Next time I will try oiling or brining it like you suggested. Nice work! Cheesemaking isn’t that hard.. I mean.. the steps are easy.. getting a feel for the milk/environement etc and all those factors you can’t control are hard. I think it takes a real skill to overcome the challenges all those variables. Having made at 6 batches of feta, I can tell you they all came out different and I used the same method/ingredients. Happy accidents, every one of them.